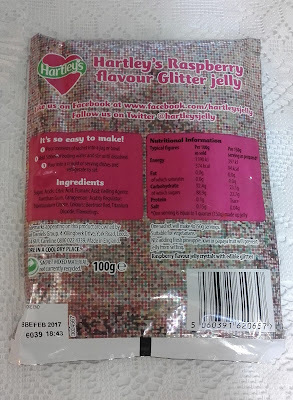 I was excited when I saw Hartley's new glitter jelly range in the supermarkets. 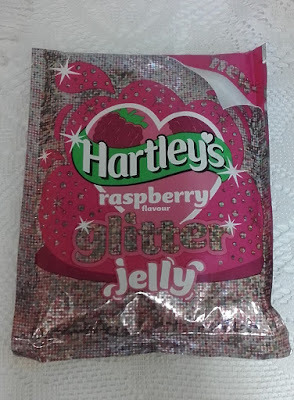 It was really hard to decide which flavour to get but in the end I chose Raspberry because I wanted the jelly to look foodogenic with a nice sparkle. The packaging is great with a silver and pink tone to it. 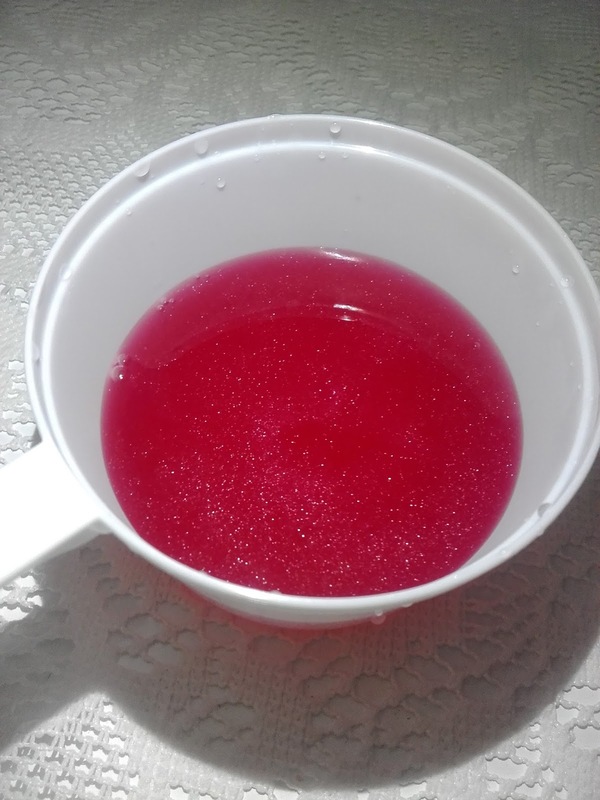 Much to my excitement, I forgot to take a picture of the jelly powder and mixed it with hot water straight away. 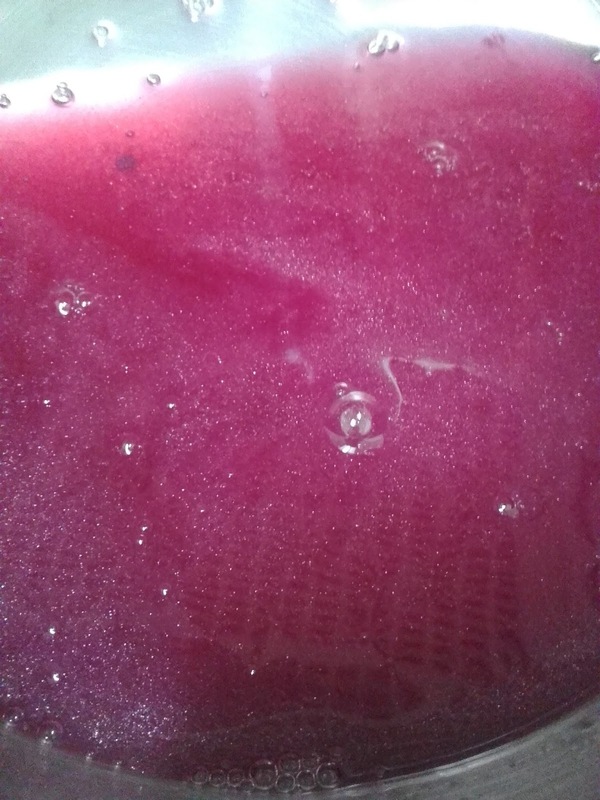 After mixing it, you could see fine edible sparkling particles swirling round in the mixture. 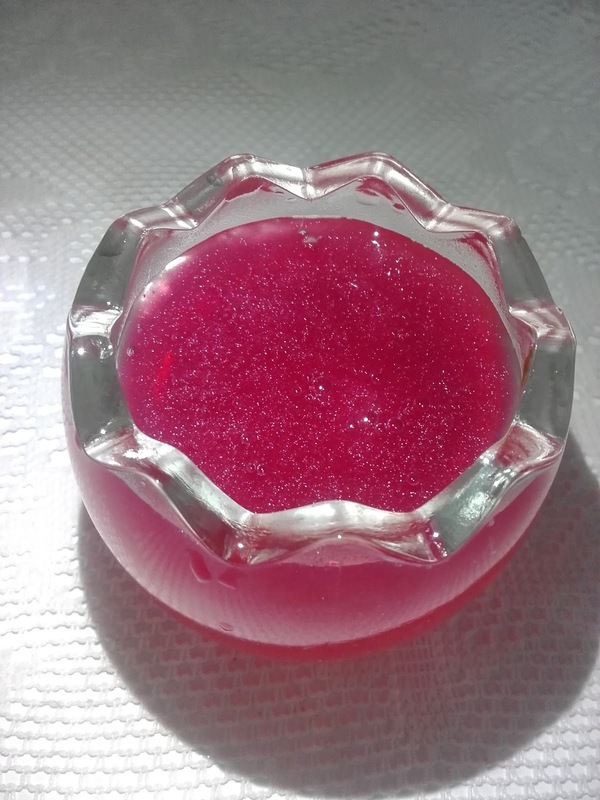 When it was ready to eat, the jelly was shimmering. The taste was like normal raspberry jelly however the texture was too soft for my liking but it could be my fault because I just couldn't wait to try it.